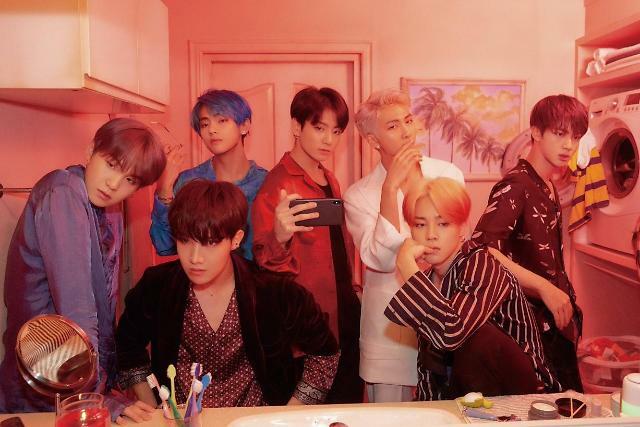 SEOUL -- K-pop band BTS has released its first full English song "Waste It On Me" through collaboration with Steve Aoki, a popular American DJ. It is an electronic dance music song included in Aoki's album "Neon Future III be released on November 9. "I'm so psyched to share this collaboration with one of the most exciting and inspiring group of guys I’ve met in the past few years," the 40-year-old Grammy-nominated producer and DJ said in a statement published by American music magazine Billboard. "I can’t wait for my fans to hear what’s in store for them next on this third installment of Neon Future." "The song is just so amazing, we really enjoyed working on it. It's our first song that is entirely in English. It was refreshing and fun to record the song. 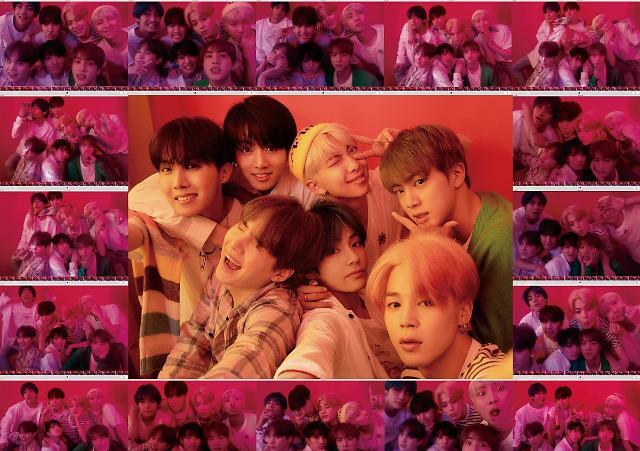 We hope this would be a good present for our fans," BTS said in the statement. 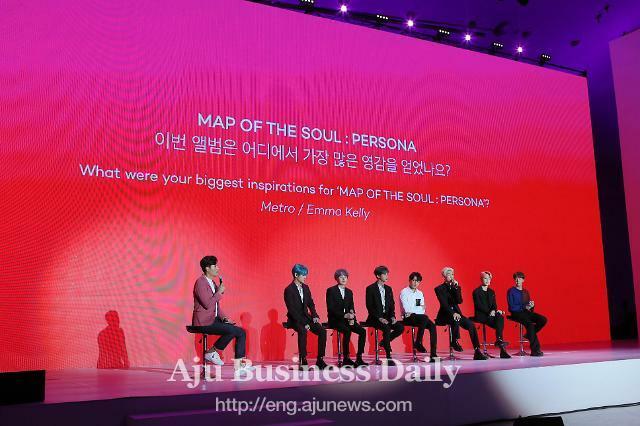 BTS' fan club ARMY welcomed the song. "I have a feeling that this has a chance to be a radio hit﻿," wrote YouTuber MackenzieKoo. Shreya Mahindrakar, another YouTuber, said: "This song is awesome!! Bts are really nice, i am listening to them for the first time today! loved it!﻿ "
The EDM song drew a positive response from those who were not familiar with K-pop. "I’ve never been a fan of kpop, but this song is amazing! and i can’t believe they wrote the lyrics themselves, they’re so good even when it’s not their native tongue. definitely checking out their other music﻿," said YouTuber Ally Lauren.